Cat-of-the-day: the weather has rather turned this afternoon, and Percy’s beanbag is back in favour this evening. I can’t blame him: I’m not going outside either tonight – thunder, lightening and now the rain is coming down in stair-rods! 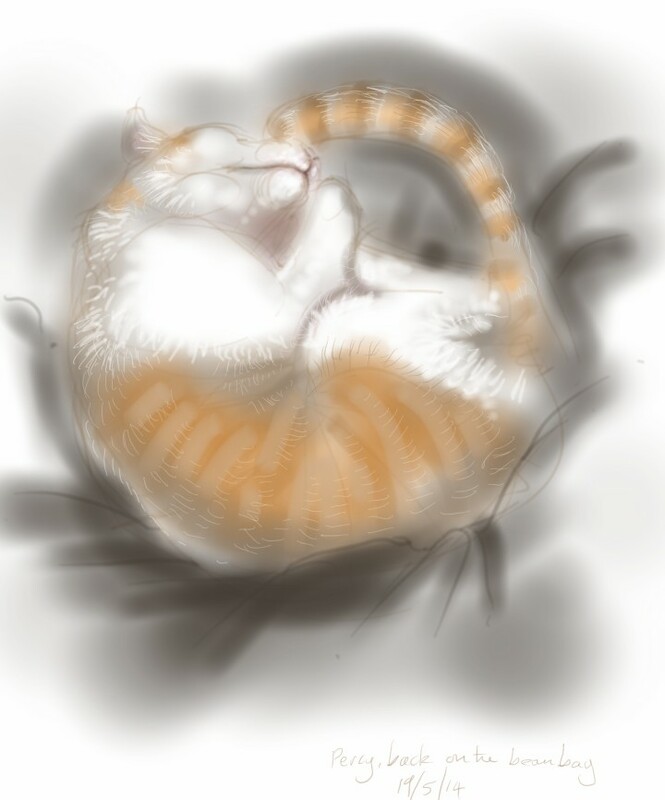 This entry was posted in Cats and tagged art, cat, cat sleeping, cat-of-the-day, digital sketch, drawing, ginger and white, illustration, life drawing, Percy Cat on May 19, 2014 by Nancy Farmer.